I was at the Village Social in Mt. 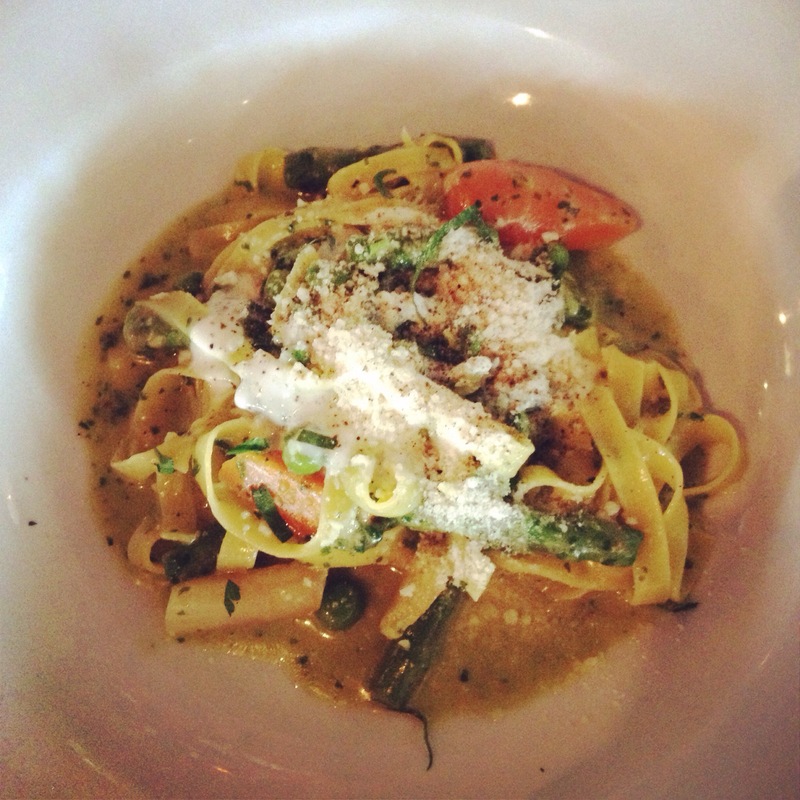 Kisco last week and had this scrumptious spring special: primavera with pesto. Jumping for joy, there was finally something vegetarian on the specials menu. It was packed with flavor. The vegetables were crisp, and the pesto creamy but not overpowering. It wouldn’t be a complete meal if I didn’t sprinkle it with a heaping spoonful of Parmesan cheese. Hopefully this dish will become a staple on their seasonal menu.